He is naughty too at times. 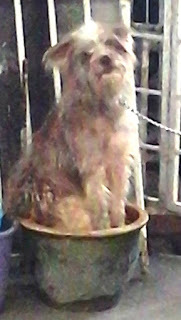 Lucky looks so pitiful sitting on the flower pot. Ha ha..are you playing match making for Lucky? Have a wonderful day! Haha. 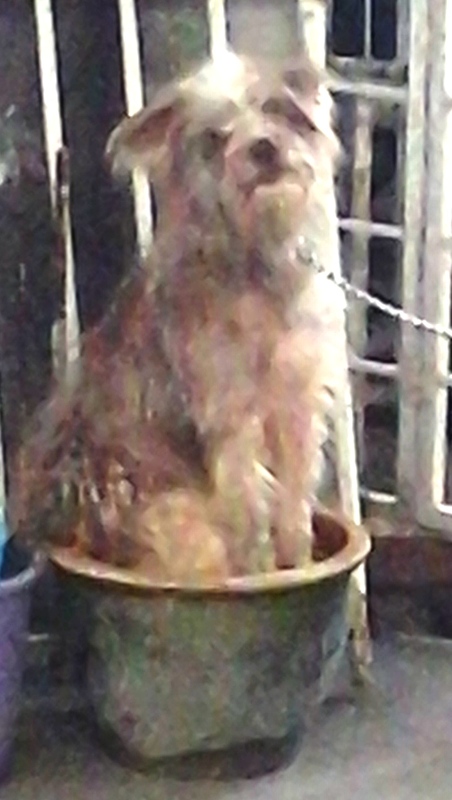 Cute Lucky on the pot. yes but he almost killed the plants.. 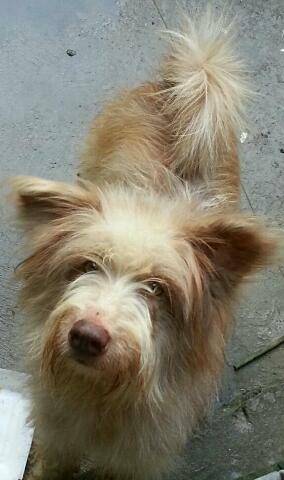 Cute Lucky....i think he want to sit on the soil rather than on the cement. With a new girlfriend now, I am sure he will behave his gentlemanly best! Found this cute post while checking out your blog. Hope he's busy dating now. Hahaha! Have a great weekend, dear!